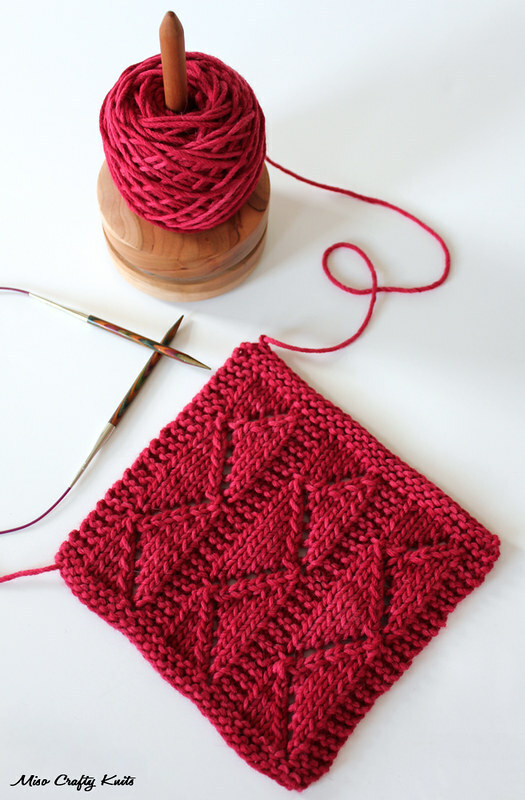 Miso Crafty Knits: Catching Up...With A Winner!! This weekend is all about playing catch up and trying to get back into my usual routine. This week has been all over the place due to the Mister's work schedule, the Munchkin having random days off, and maintenance people coming in and out of my place (which means I had to shove everything into my sewing closet space, and ultimately means no sewing was accomplished this week). I feel like I got absolutely nothing done this week. Actually, scratch that. I don't feel, I know I got nothing done. Well, other than a little knitting. My fabulous Concrete & Tulips socks are finally done (YAY!) and I have to put aside my Unikitty socks temporarily so that I can try to whip up 2 more teacher appreciation gifts - after all, there are less than 3 weeks left of the school year! Eep! So far I'm at the halfway point on a another Daybreak shawl with the hopes of having it done by the time the weekend is over so that I can cast on the second gift pronto come Monday morning. I forgot to take proper photos so the photo above is shamelessly ripped from both my Instagram and the Stash Dash thread on Ravelry. 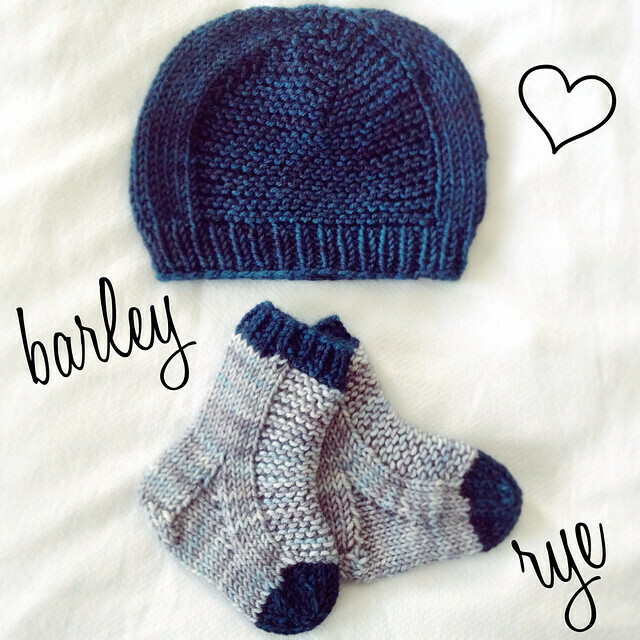 The hat is Barley and the socks is Rye, both patterns are by Tin Can Knits and is from their Simple Collection. I used leftover SweetGeorgia Yarns Superwash Worsted in Riptide (my favourite!) and leftover Tanis Fiber Arts Green Label Aran Weight in Shadow (another favourite!). Both the hat and the socks took less than a day each to whip up, and because these are baby knits, not much yarn was needed for either. Definitely great patterns to use up leftovers with! I think these just became my go-to knits for babies! 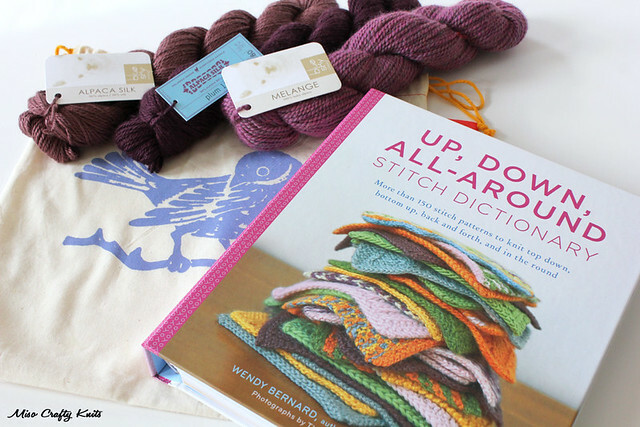 Both of these will also count towards my Stash Dash yardage tally - which is still painfully low. 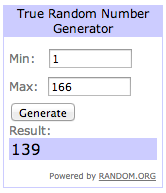 Catie, I'll be contacting you shortly about your fabulous prize!